This one’s a keeper. My beloved really, really likes it. I like it too, though possibly not quite as much as he does. I need to attach a hanging sleeve but other than that it’s done. Glad I stopped making house blocks when I did. Any more would have been too many. 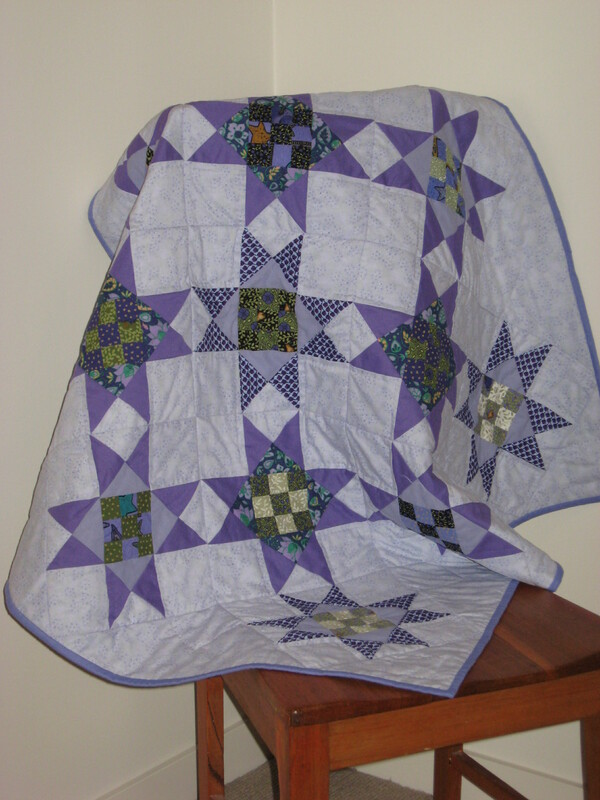 Long arm work was done by Melbourne professional quilter Pam Hammer. 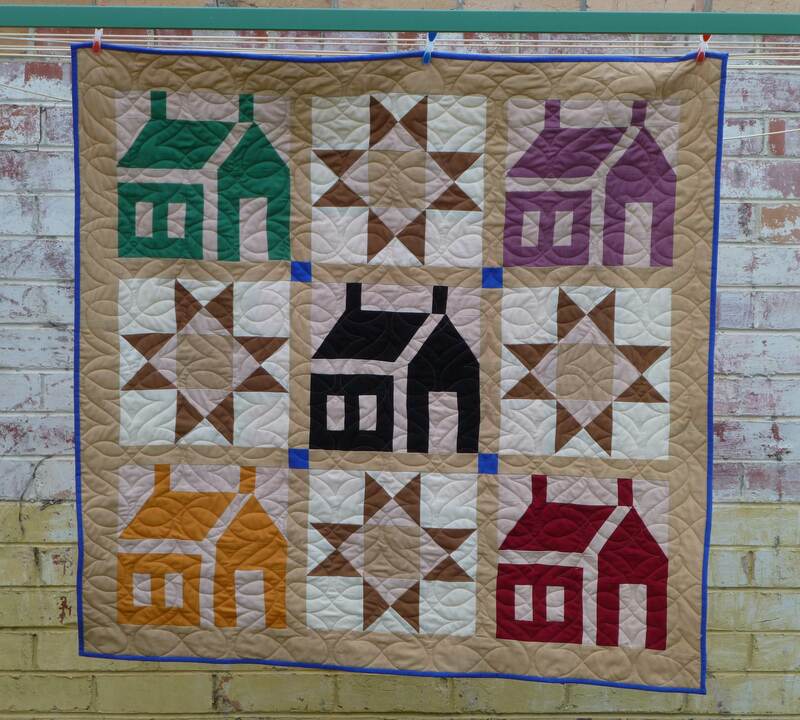 The house design came from Houses, Cottages and Cabins Patchwork Quilts by Nancy J. Martin and the quilt started life as just one experimental block. Thursday 20 December 2012 – last day to submit your Dear Jane. I believe you can even submit an under construction Jane. 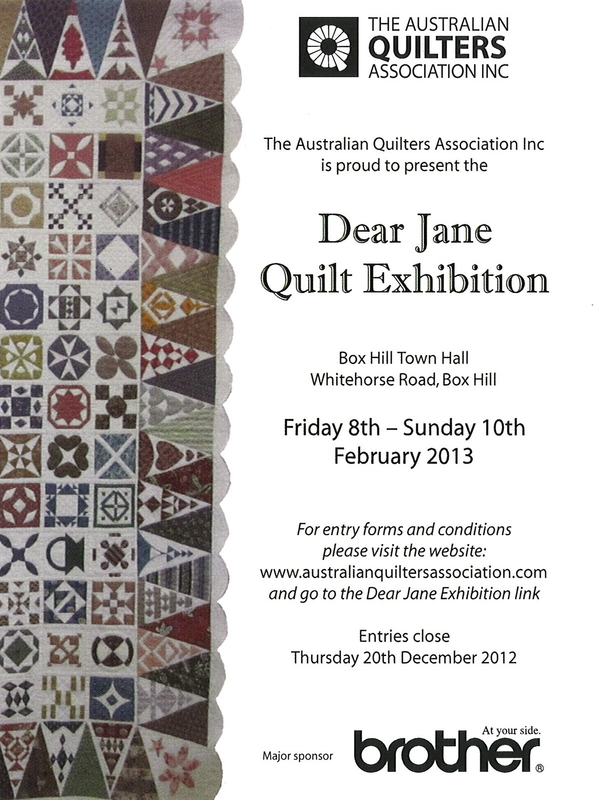 Friday 8 – Sunday 10 February 2013 – Dear Jane Quilt Exhibition at Box Hill Town Hall. 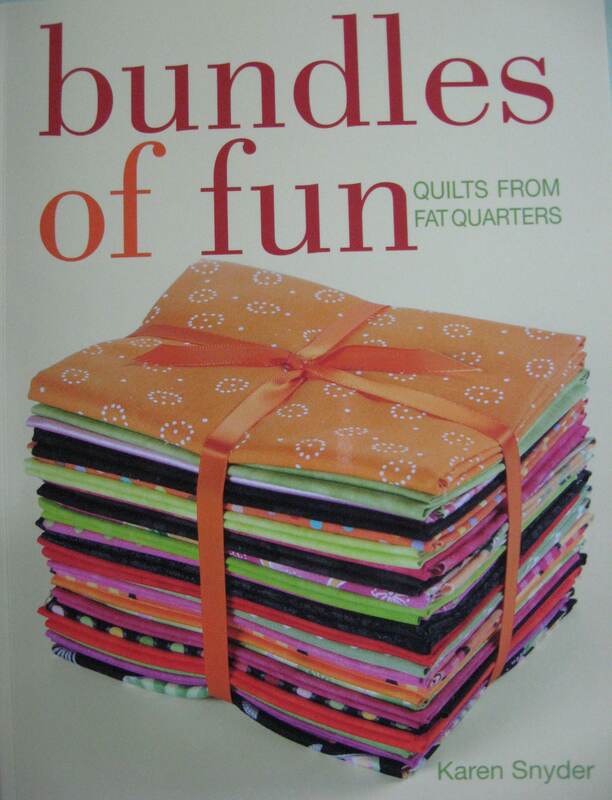 It’s an Australian Quilters Association event and details are available from their website. I attended the Australian Quilters’ Association 2012 Symposium yesterday where I joined the Georgetown Circles class. I’d love to show you a picture of our tutor’s demonstration quilt but when I took my camera out the tutor told me that my picture was to be for personal use only. That’s her call to make. I can only conclude she doesn’t want to sell too many of her patterns online. This year I was better equipped for a class as my new Singer is a lot more portable than my old Husqvarna. I can carry the Singer with one arm. To make transport even easier I picked up a padded sewing machine carry bag with handles and a long zipper for only $20 plus tax at Wm. C. Jackson & Company on Victoria Parade just outside Melbourne’s central business district. They mostly cater to the rag trade but were willing to take my money anyway. While you can’t browse the stock, this place compares really well to retail sewing supply outlets for their wide selection of merchandise and for low prices. Now that I’ve found them, they would be my first stop for sewing machine supplies and parts, especially if I happened to have an industrial machine. They also stock tools like rotary cutters and scissors. 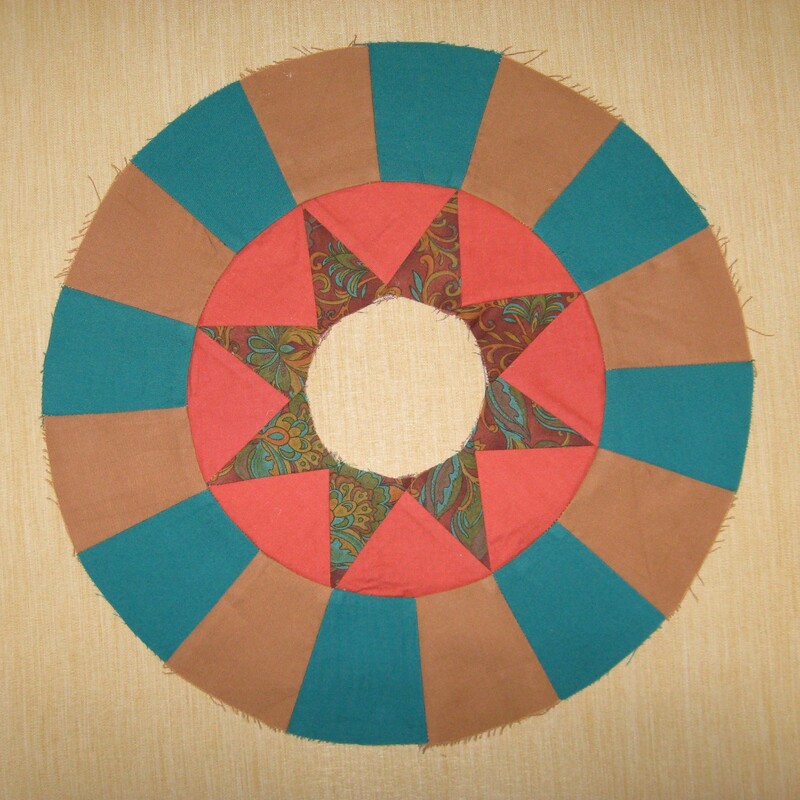 We leaned foundation piecing using freezer paper in the Georgetown Circles class. First step was to transfer the markings by stapling the layers of freezer paper under the pattern template and sewing through the whole lot to perforate the freezer paper on the sewing and cutting lines. Great technique, though I did hear some grumbles from the ladies who had put fresh needles in their machines in preparation for the class. 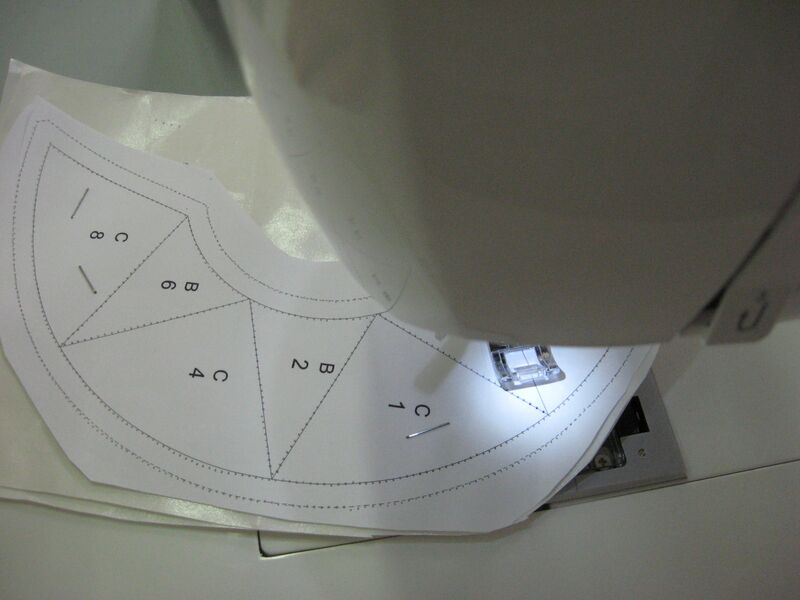 We make Templastic templates as references for fabric cutting. The technique was easy to learn, though the instructor could have made her job a bit more fun by calling the group together from time to time to demonstrate the next step. Instead she worked the room, walking people through the method as each person was ready for that step. While it was nice to have the tutor’s undivided attention for that moment, I had the impression it tired her out a bit. I chose a bold, masculine palette for my block, with the goal of gifting it as a wall hanging for a male family friend who turns 70 next year. 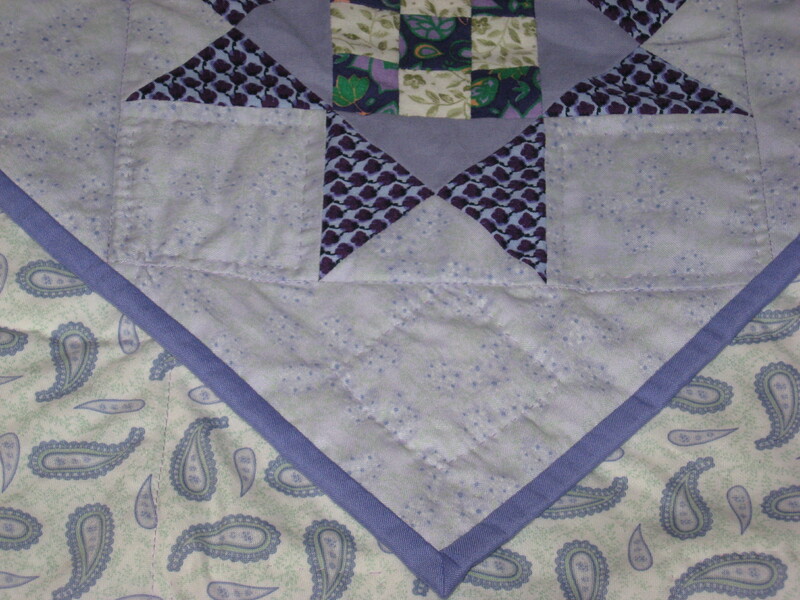 My neighbour in the class had also had the idea to make a medallion style quilt. As neither of us had brought enough freezer paper we paired up and shared templates. Here’s where I got to. I am pleased with the result. Seems the tutor didn’t particularly care for my colour choices. At the end of the class she came by, gave my finished work a long look, and walked on by. A ‘good effort’ or a ‘hope you enjoyed the class’ would have been a friendly way to end the day. Call me paranoid, but I wasn’t feeling the love in that moment. The Australian Quilters’ Association have published the details of their annual symposium in Melbourne. I still haven’t joined the association, even though they seem like a fine group of people, because I don’t have the time to be an active member. When I stop working full time that might be an option, but for now I’m happy to squeeze my sewing in whenever I can, be it before work or at weekends. After my experience at their symposium two years ago I jumped at the opportunity to attend again this year. The classes they’re offering are completely different from two years ago. This time I’ve enrolled in Michelle Yeo’s Georgetown Circles class. The Georgetown Circle block has some similarities to the Mariner’s Compass and I expect that we will learn some paper piecing techniques. The supplies list also called for freezer paper, which I have never used, but which I have read about in applique books. I’m counting down until September and have selected some fabrics. 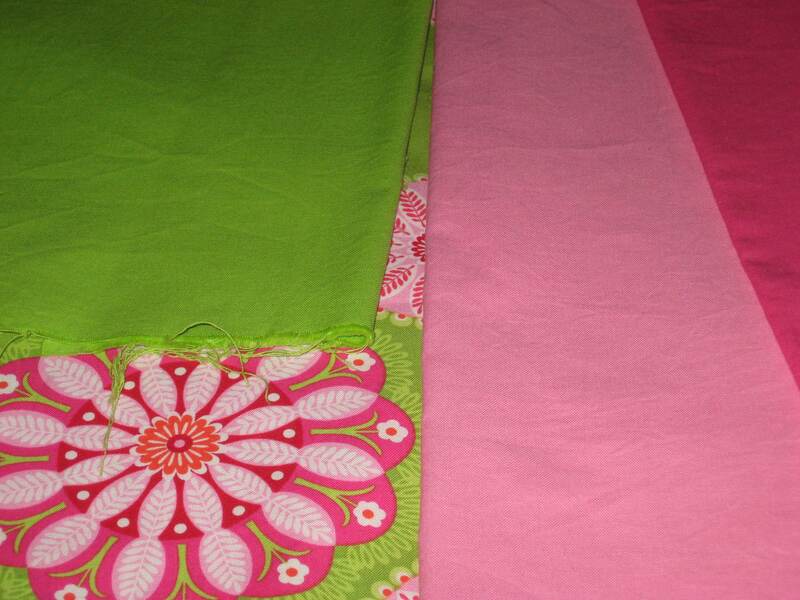 My sister-in-law gave me some cuts of quilting fabric as a birthday gift a couple of years ago. They’re bold, somewhat masculine colours and I’ve been waiting for the right project to come along for them. I believe the class will be that project. 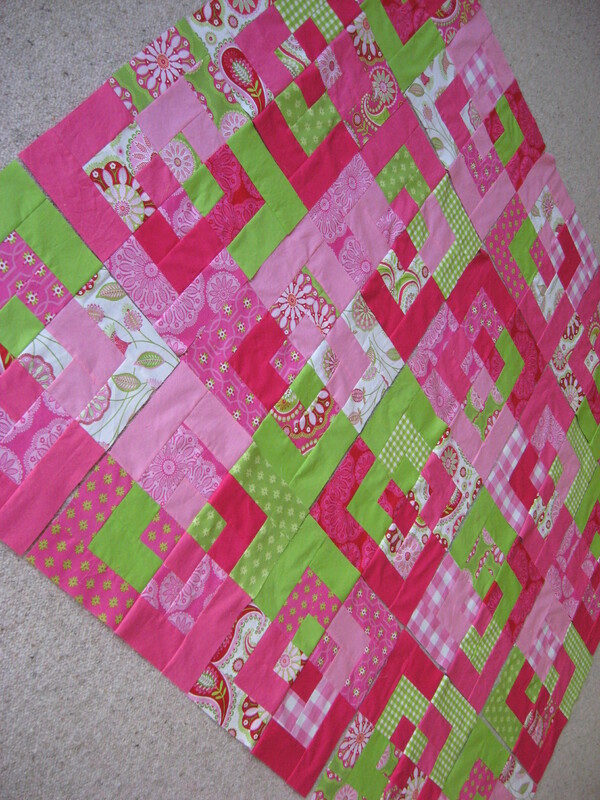 Hopefully the block will be good enough to make into a wall hanging or a cushion cover, but we’ll see. I found a wonderful Georgetown Circles quilt on Flickr which can serve as my inspiration. Symposium – that sounds so grand. I can hardly wait. I’ve been pressing on with the bento box blocks and have all twenty done. I laid the top out on the design floor and wasn’t sure how much I liked it. It certainly is a riot of colour. My beloved offered the feedback that it needed a unifying design treatment. His feedback always worth considering so I tested some thin sashing. I also thought about putting a two inch contrasting diamond where the bento box blocks join. Adding more somehow didn’t make less, so I’ve decide to just stay true to the pattern as it is now. It’s a modern block, not a traditional one. Maybe it doesn’t need to look regular or unified. If I made this pattern again I might consider reducing the number of plain colours to just one or two, rather than the four I used here. But I probably won’t make this pattern again. There is only one special seven year old girl in my life. It will be going off to the long arm quilter soon and I’m confident that after quilting and binding the finished quilt will be pretty. I’ll post a photo when we get there. Modified Dolly Madison Star Quilt Finished – at last! After many, many months of neglect I decided the modified Dolly Madison Star quilt just had to get moved from ‘work in progress’ status to ‘ready to gift.’ I was tired of seeing it half-finished and a planned visit to the recipient gave me the push I needed to get on and finish the job. This quilt has taught me some valuable lessons. I learned that safety pins can get in the way when quilting and that hand basting is worth the trouble. I also learned that I really don’t enjoy hand quilting AT ALL. At some stage in the future I want to try that modern style of hand quilting where you use embroidery thread and big stitches. I used a cardboard template to get the corner squares the same size. Labouring away at tiny even stitches feels more like a punishment than a form of relaxation. I do appreciate the beauty of hand quilting when other people do it though. I’m not proud of this one as I know I can do better work, but I am pleased to have it out the door. Update: The recipient loves this quilt so much, she’s talking about putting it up on the wall above the marital bed. It was meant to be used, but I’m happy to hear she likes it enough to consider it as a wall hanging.